There’s an art to finding the perfect gift. And nothing can bring to life the passion for fashion like a gift from undertøj. We have an eye for detail to give you the perfect gift. Our iconic box is a present itself. Exclusive and carefully prepared, with special attention to the smallest details. 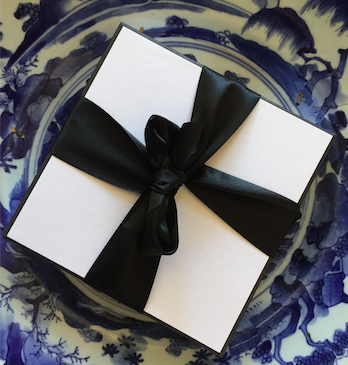 Our iconic box comes automaticly with Le Noir and Blanc. All our products are designed in the Netherlands and fair trade made. Perfect to get into the right Christmas spirit. Someone who helps you, giving you advice, who knows what suits you or to take away your doubts. We'll be happy to help you and you can reach us via Facebook messenger or email. A small thank you for your order. At undertøj orders in the Netherlands are delivered free in the month of December. You pay your purchases in a secure environment. has a classic, clean look. The partly handmade boxer has no labels ensuring extra comfort. designed that you always look your best in, even after a day's work.